We’ve got some good news and bad news. Current small business trends point to a steady rise of people who are leaping towards entrepreneurship and small business ownership. As for the bad news, while this figure is encouraging for anyone looking to start their own small business, here’s another way of looking at this trend — competition is growing every single year. If you’re a small business owner who’s already thinking about your next big move to outsmart competitors, finding ways to differentiate your startup or small business should be a priority. If you’re not the first in your industry or niche, how do you differentiate your small business from others who are doing the same product or service as you? Anyone can offer the same type of service or product as your small business or startup. In a nutshell, you need to take a different perspective and try a more holistic way of marketing instead of a band-aid approach. In the end, your goal is to ensure that your entire brand experience differentiates your small business. The better your brand experience, the higher the chances of turning prospects into loyal customers and brand advocate. Standing out from the pack requires equal parts of in-depth research, creativity, and consistency on your end. Whether you’re a new small business owner or a veteran looking for new ways to stand out from the competition, this short guide looks at 5 creative ways to differentiate your small business. We’ve also created an infographic that you can download for quick reference. 1. Start with in-depth, qualitative research by getting to the root of your customer’s needs and lifestyle. Gone are the days when can you just set up shop, wait for crowds of customers, and call it a day. The most critical step for your small business to stand out is to get to know your customers intimately by identifying their core needs in context to your product or service. You need to talk to prospects or existing customers and ask them about what they think and feel about your business. You can carry out a brainstorming session with all your staff to learn what they think about your brand. Afterward, narrow down the most specific reasons and answers. You can use them later on as a way to differentiate yourself from the others. Let’s say you’re an owner of a new produce delivery business in town. At first glance, it seems like your target customers are people who merely want fruits and vegetables delivered at their doorstep. With this assumption, you keep on talking about the different varieties of vegetables and fruits in your social media feed. What if there’s more to the story that you’re missing? Why do your customers prefer to have their produce delivered instead of buying in bulk themselves? When you sat down with your target customers, you discovered that people prefer to get their produce every other day so they can cook with fresh vegetables instead of the ones that have been sitting in the fridge for weeks. Others are super-conscious of what each produce does for their existing health issues and overall health. Furthermore, you found out that more than half of your clients have diabetes. Based on your survey findings, it turns out that people don’t care about produce varieties that you’re waxing poetic about on Facebook. Instead, they would rather learn more about the benefits of each produce. You can also start providing more information and recent research on diabetes nutrition because a massive chunk of your clientele have the condition. 2. Keep pushing the envelope. Surviving and thriving as a small business today largely depends on how you react and respond to trends in your industry. As other fields continue to evolve, so should your small business. While it’s easier to stay within your comfort zone as you’re happy with the way things are going, the most successful companies out there understand that innovation is a significant differentiator. Listen and interact with customers. Talk to vendors and suppliers. Don’t hesitate to steal new ideas from other industries. Ask yourself how you can further improve an existing product or service. Check what the competition is doing and find out if you can do a better job. Have a brainstorming session with your team. Encourage everyone to share ideas, no matter how “weird” it sounds. With these ideas in mind, consider our produce delivery example earlier. 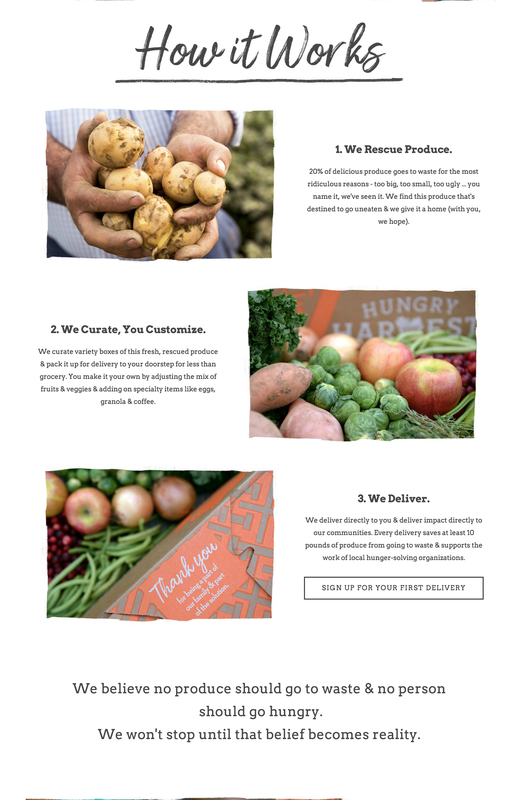 As the owner of this small business, introducing customized boxes of fresh produce and providing recipe ideas (utilizing your current product offerings) are excellent ways to keep pushing the envelope in your business. 3. Focus on a small, tight-knit niche or network. Many small businesses start out trying to be the best in their niche— from the best coffee shop in town to the country’s greatest hair coloring salon. There’s nothing wrong with dreaming big, but you’ve got to be realistic. The key to small business differentiation and future growth is finding and focusing on tight-knit niche or network. For small business or startups, it can be a challenge to stand out with limited resources. With a more modest, tight-knit niche to attract and engage with, you can maximize the use of these limited resources. It makes it easier to describe what you do and be more specific about your offerings. A smaller niche increases the chance of exposure to prospects that are almost ready to buy instead of leads who are still in the consideration stage. In our produce delivery example, consider vegan restaurants within your area of coverage as part of your small, tight-knit network of clientele instead of merely “restaurants.” You can offer to deliver extra produce or hard-to-find vegetables that will impress not only the restaurant owners but also their vegan patrons. Win-win right? In the past, marketing and advertising were easier. All you need to do is tell people about why your product or service is better than the others. Better deodorant. Better banking service. Better sweaters. Being better at x just doesn’t cut it these days. The truth is people are hungry for change to our most significant social and environmental issues. People expect businesses to take a stand. According to authors Christian Sarkar and Philip Kotler, brand activism consists of business efforts to promote, impede, or direct social, political, economic, and environmental reform or stasis with the desire to promote or hinder improvements in society. If you notice, more and more companies have a broader mission than pure profit-seeking. In a crowded marketplace, taking a stand for an advocacy or specific values sets you apart from the rest. It’s also an excellent way to gain customers who can also become your biggest fans and advocates. The takeaway here is to take the time to reflect on your position until you can be objective and honest about your cause or advocacy. 5. Educate your customers instead of selling directly to them. This isn’t a new tip or strategy, but it still works (and will always be). Every day, people are seeking information, insights, and ideas. This era is not called the Information Age for anything. 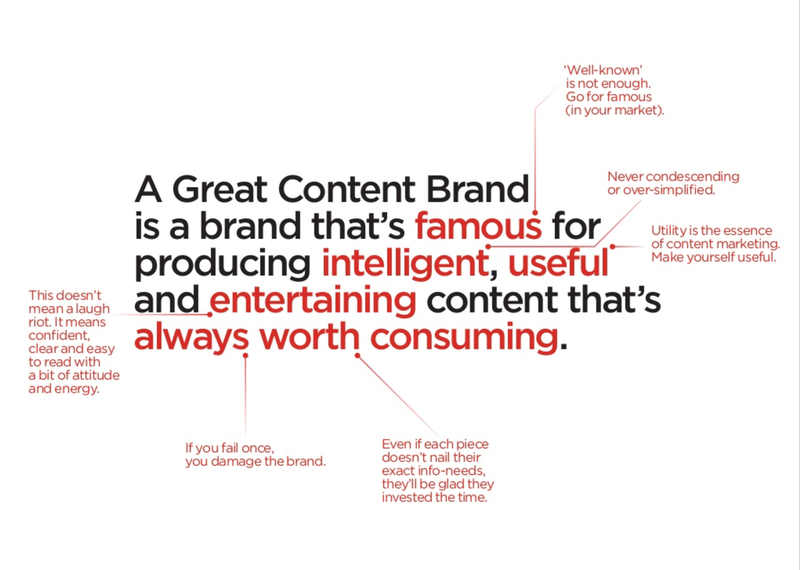 For this reason, creating and curating content is a surefire way to stand out. Sure, everyone may be drinking the content marketing kool-aid these days. So how do you differentiate from the rest? While their agency is heavily focused in the B2B arena, you can also use the same principle in your small business marketing. When creating content to educate customers, the most important takeaway is to do it consistently. Think of it as a marathon rather than a quick sprint. Finally, as you’re creating content to educate customers, consider stepping up your visual storytelling game. Take beautiful photographs, draw a simple cartoon, or create infographics, gifs, and videos. Today, it’s inexpensive and less time-consuming to produce beautiful pieces of visual art for your small business marketing. Plus, simple design tools like infographic makers have a low learning curve. Anyone can start using them as long as you’re curious and eager to learn! Ready to Think Differently and Stand out from Your Competition? If you haven’t started any of the strategies mentioned above, or have only done them half-heartedly, it’s time to evaluate your small business marketing plan. As with most strategies, you’re only going to experience the rewards if you commit to your plan for the long haul yet you’re also flexible enough to pivot when a strategy isn’t working anymore. Your competitors are likely to catch up with your ideas and best practice at some point, so it pays to always be on your toes for fresh ideas. Pressed for time to create visual assets for your small business? For a start, you can try our free infographic maker! Alternatively, one of our designers can create a custom infographic that paints a wonderful picture of the story that you’ve been meaning to tell! Kai is Easelly’s resident wordsmith. When not nerding out on infographics and data visualization, she’s most likely taming tardigrades or trying really hard to perfect her one-handed kettlebell swing.